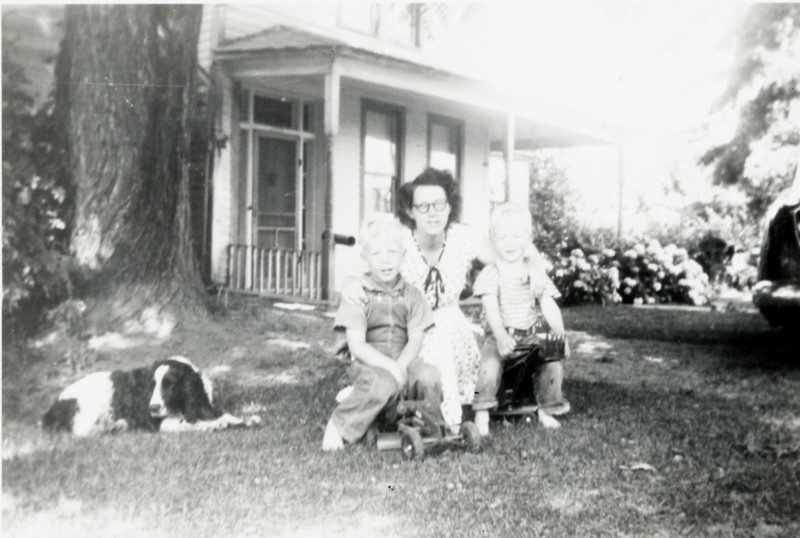 Description [note with photo]: Edna; Luke (on left), Mark (on right) Farmer, 1955. The house is the Trullinger House. House was originally on the NW corner of Durham and Ladd, then moved to State St. and finally to 111 Leonard St. See also photos 1521, 1601, 1604 and 2319. Later also called the Wint House. Physical Description H 3.5"" x W 5.25""